Vancouver is the largest city in British Columbia, Canada, and the largest city on the west coast of the country as a whole. 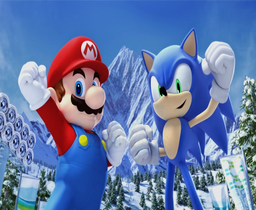 It was the location of the 2010 Winter Olympics, and also the main setting of the game Mario & Sonic at the Olympic Winter Games. Many mountains are located near the city, which is where several Olympic events were held, both in the game and in real life. The city of Vancouver also appeared on the Globulator, a world map in Mario is Missing!, but was not visitable in the game, even though Montreal and Toronto, were locations in the Nintendo Entertainment System and Microsoft Disk Operating System versions, respectively. This page was last edited on July 10, 2018, at 13:04.